Have you ever had to sit through a boring presentation or speech? Have you given a boring presentation or speech? You can usually tell by the droopy eyelids in the second or third row. Not everyone is a dynamic public speaker. But that can change. Humor is magical with audiences. 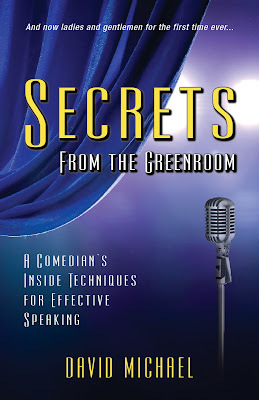 And 20 year comedy veteran David Michael teaches public speaking with humor in his new book: Secrets From The Greenroom. What makes this book so unique is that it is the first book on public speaking ever written by a professional comedian. Stand-up comics live and die by crowd attentiveness and response. David Michael, from Pittsburgh, PA, has been on the road telling jokes to complete strangers for over 20 years. He knows exactly how to draw a crowd in and keep them there for his entire performance. In Secrets From The Greenroom, you'll learn what the pros know. Michael covers everything from how to set up the room, how to seat the audience, preparation, types of humor to use and much more. The book doesn't promise to make you a candidate for the Tonight Show, but you will learn to have more engaging presentations or speeches. And that can mean a lot to your career, no matter what field you are in. This is the type of book corporations should buy in bulk and pass out to all of their public speakers. If presentations mean money in your organization, your speakers will be much more effective by tastefully weaving humor into their time at the podium. Most people are extremely afraid of public speaking. However, if you are prepared, it is much easier. And if you can get a laugh or two out of your audience at the beginning of your talk, you'll be much more relaxed and come across much more confident. Secrets From The Greenroom teaches you how to overcome stage fright and transform yourself into a speaker who keeps the audience awake and alert from start to finish. There is no need to be known as one of those people who gives a boring presentation. 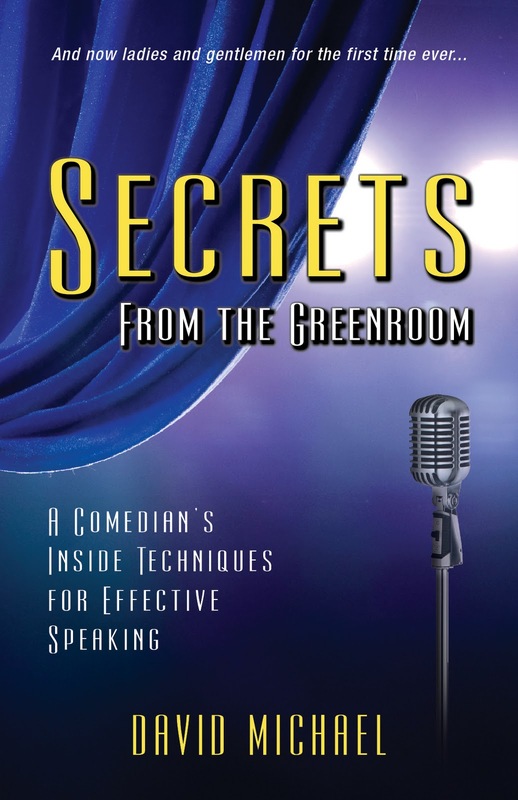 Kick up your public speaking with humor by reading David Michael's groundbreaking book: Secrets From The Greenroom. Books now on sale. See David Michael's website for ordering information.